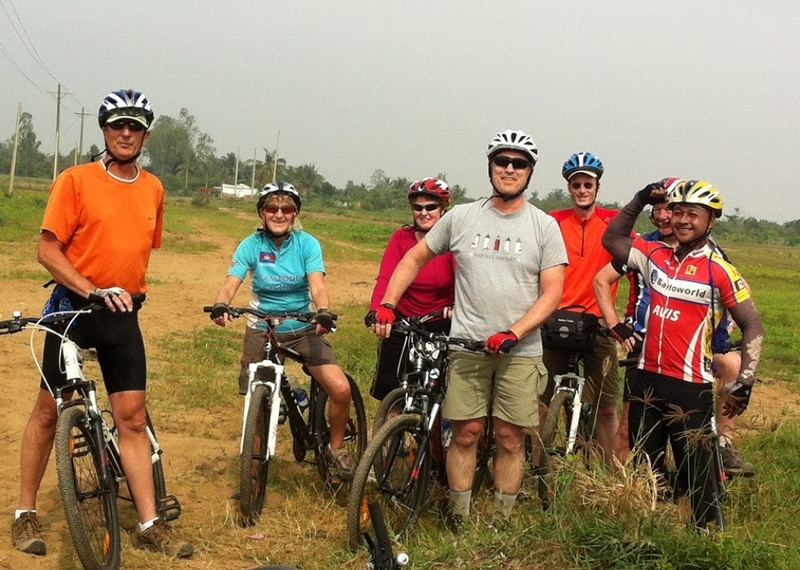 This bicycle tour around Laos offers the opportunity to discover the real Lao life and country side. Highlights are a boat cruise on the Mekong, the scenic valleys between Pak Beng and Oudomxai where tourists are rarely seen, the scenic mountain ride to Nong Khiaw and it's surrounding lime stone mountains. The absolutely cultural highlight of this tour is the UNESCO World Heritage town of Luang Prabang. 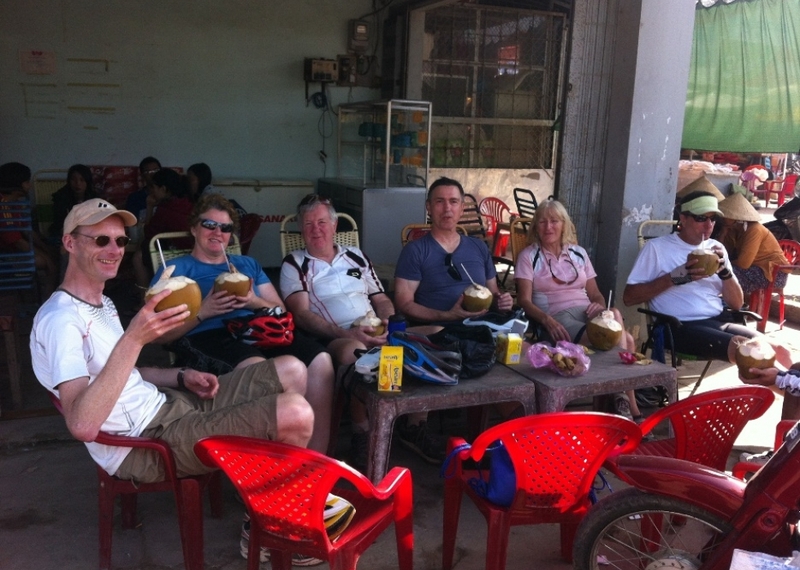 This tour can be extended with the classic bicycle tour from Luang Prabang to Vientiane. Start with a meeting with our specialists and a short sunset ride along town. During our dinner we talk about the trip and answer all questions. Dinner at a wonderful spot along the Mekong river. Stay overnight in a comfortable guest house. 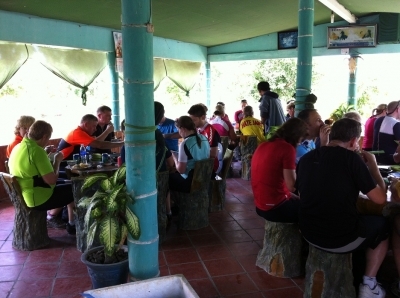 A mainly off road ride to the scenic Kuang Si Waterfalls along ethnic villages such as Hmong an Khamu. Enjoy a swim in the clear water basins of the Kuang Si Waterfalls and a short walk in the nearby forests. Overnight in a comfortable guest house. Probably on one of the best roads of Laos, you start in the narrow valley of the Beng River in the ,northern direction. Following the small river we pass by little villages and nice landscapes as well as great views into the nearby mountainous world. 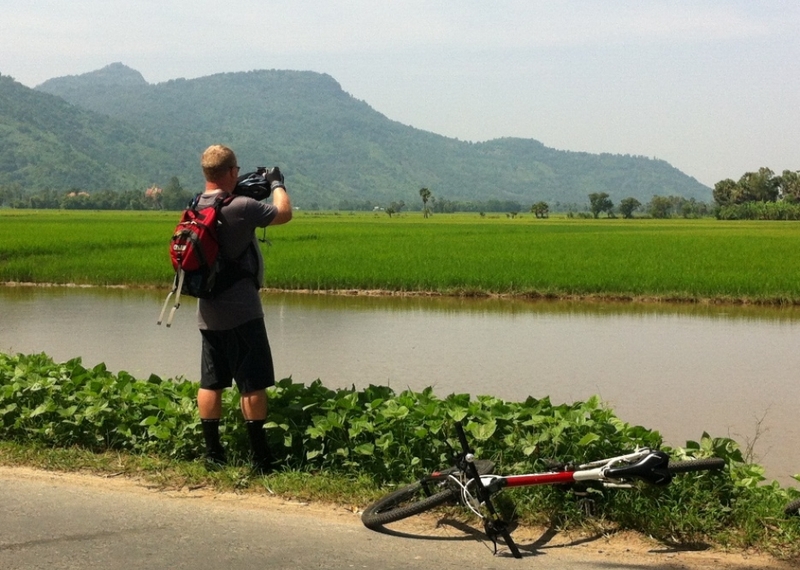 Cycling in Laos, Laos Biking TourSoon, the landscape is getting open and you will have fine views over rice fields and surrounding mountains. The road is very quiet and just a few cars will pass us during this biking day. Take your time in villages and local markets to see to daily life on the country side. Overnight in a basic guest house. 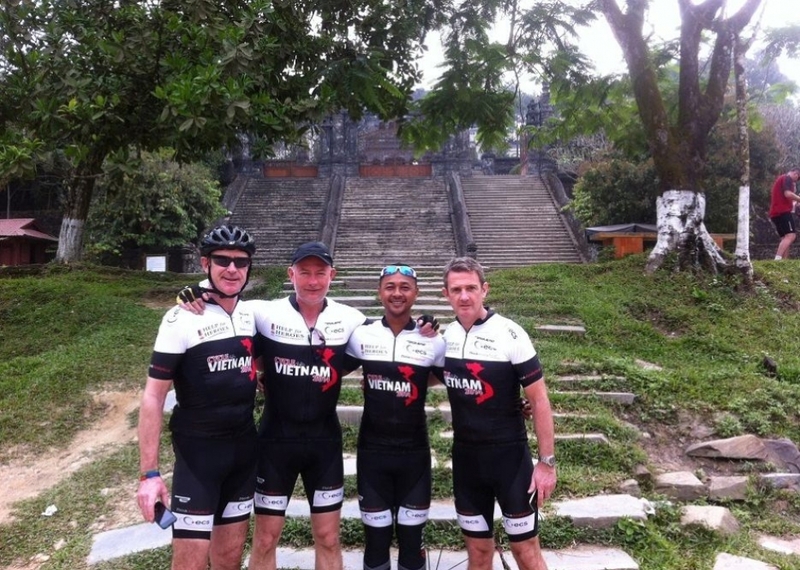 On the first part of this stage, you cycle smoothly through wide valleys with great views. After an easy climb of 3 kilometers, you will have a long descent to the valley of Oudomxai. 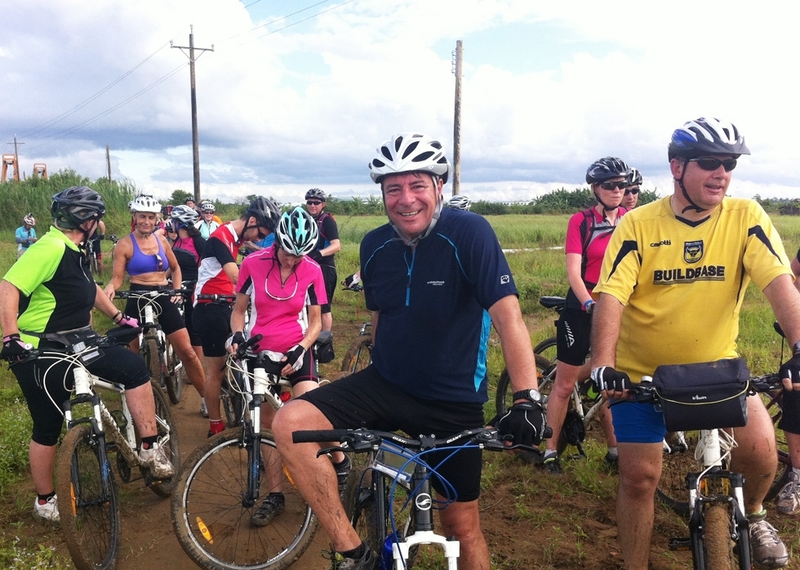 In the afternoon you can cycle to some hill tribe village around the valley of Oudomxai. Overnight in hotel. After leaving town, a long but never steep climb will bring you step wise high into the mountains, where Hmong villages are dominating the valleys. Enjoy the great views and the daily life in the Hmong villages who are based in high altitude in this region. After Song Cha, a long descent will bring you to Pak Mong, which is a good place for a lunch break. 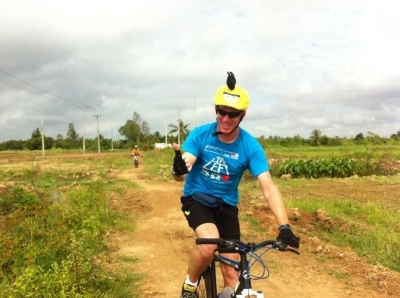 From Pak Mong, You cycle over a small tar road into the scenic lime stone mountains which are unique in the area around Nong Khiaw. We stay overnight in a guest house with fine views over the mountains and the Nam Ou River. 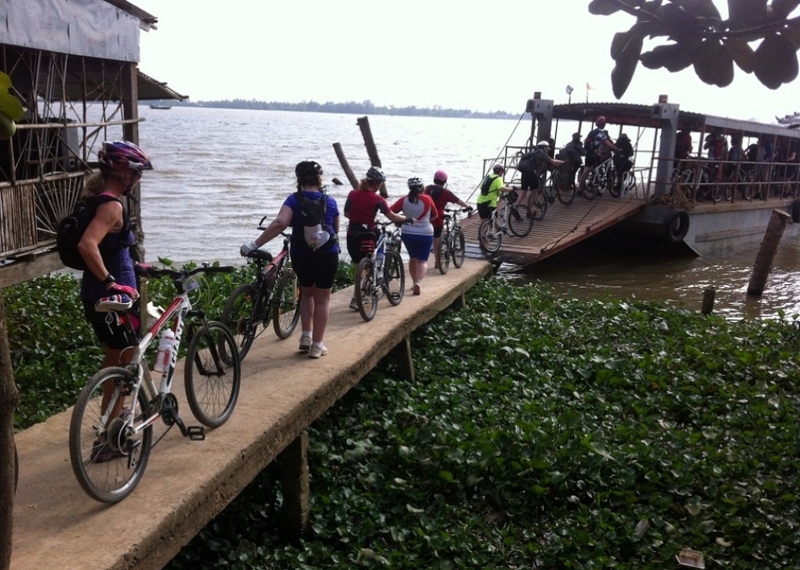 Biking in Laos, a cycling adventureThe day starts with a relaxing 2-3 hours boat ride on the Nam Ou River. 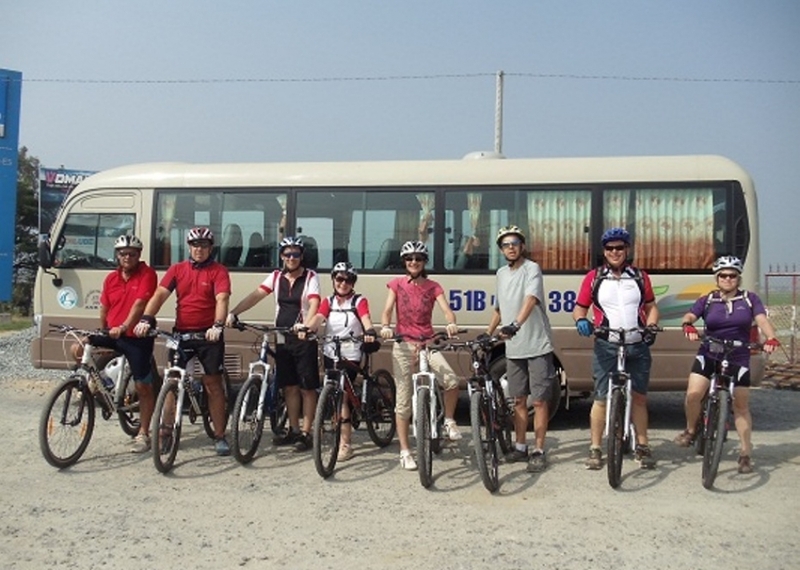 Going down stream with fine views over the lime stone mountains, you will ride your bike again from Huai Kan onwards. 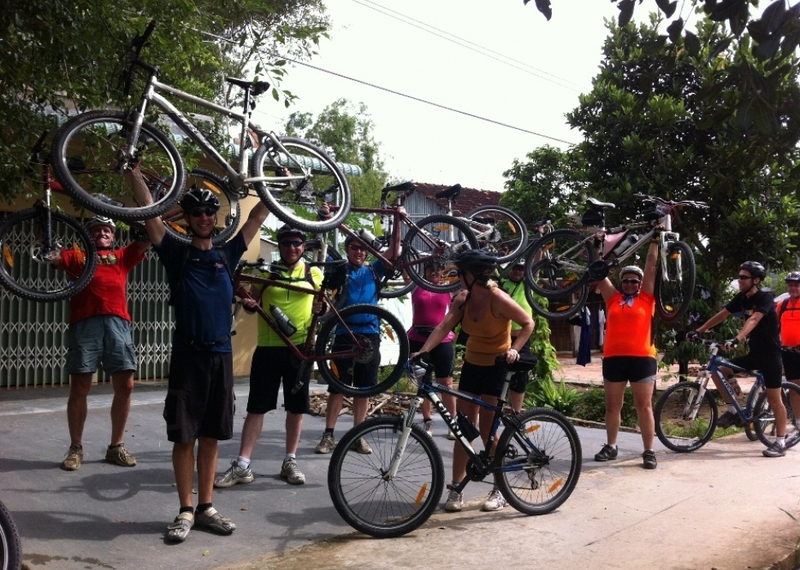 Following the slightly going up and down road 13, you will cycle to you final destination Luang Prabang. Overnight in a comfortable guest house. 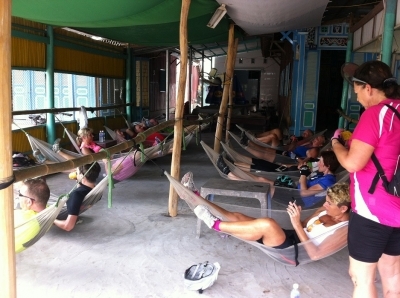 And optional activities which can be arranged through our office in Luang Prabang town. 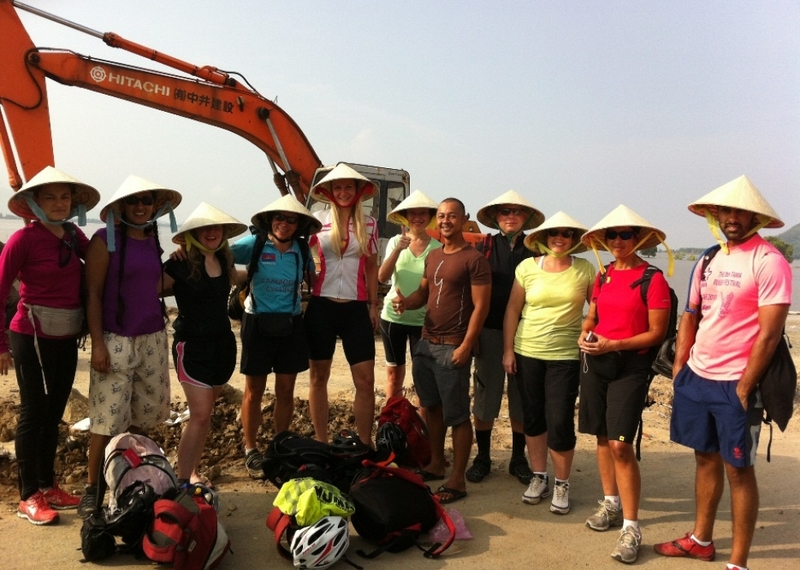 City biking, Elephant Camp, Trekking, Waterfall visits, Kayaking.